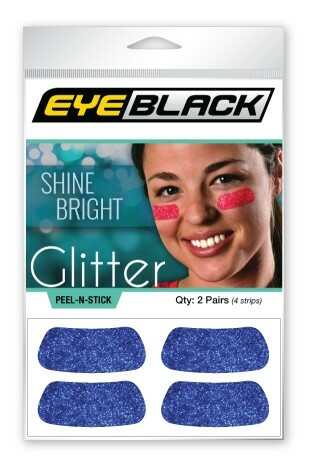 Shine Bright when you wear sparkly blue eye black stickers. This peel and stick product is simple and easy to use. Eye black with glitter can also be applied to various other surfaces including phones and laptops.